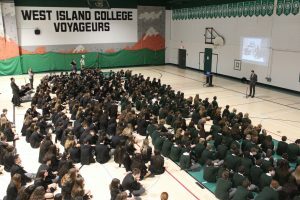 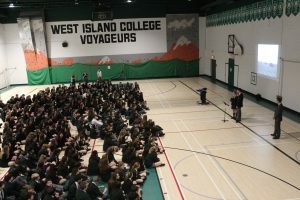 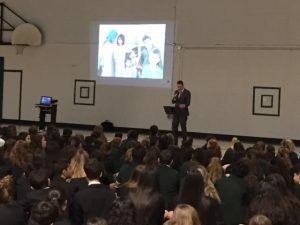 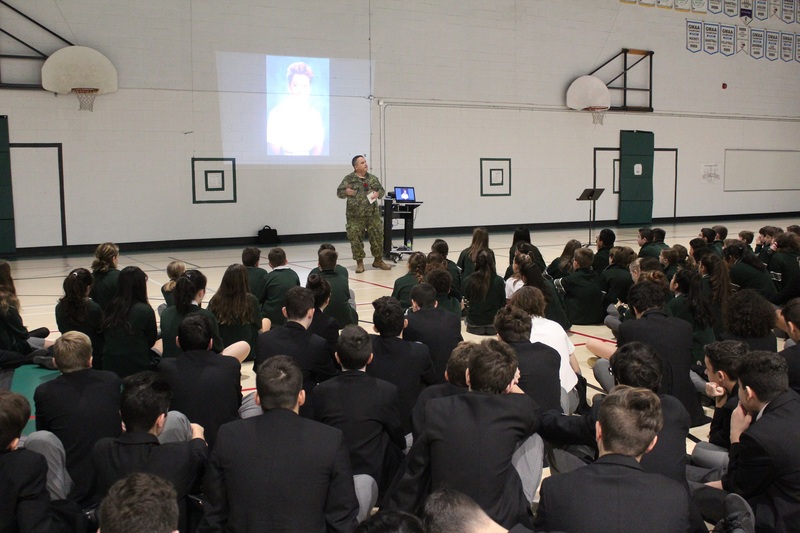 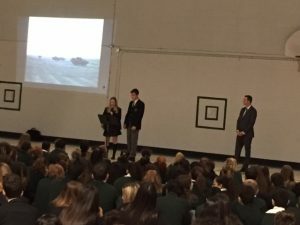 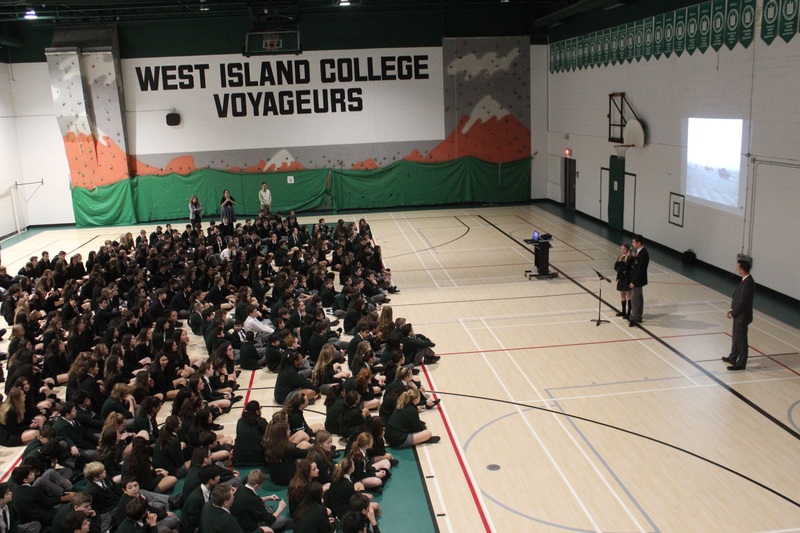 At the school assembly on Friday, November 9, 2018, students listened to Captain Fitz-Gerald, husband of Mme Vien, who entered the Canadian Armed Forces at the age of 18. 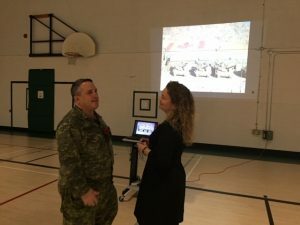 A helicopter mechanic by trade, he has more than 33 years of service. 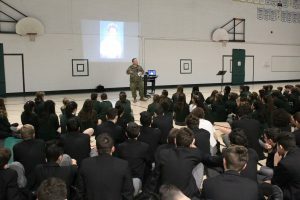 He was deployed to Egypt (a multinational mission) as a peacekeeper, to Bosnia (UN mission) as a peacemaker and Afghanistan (ISAF: International Security and Assistance Force) as an active fighter in a war zone. He is presently using his extensive experience to revamp the aircraft technician trade for the Royal Canadian Air Force. 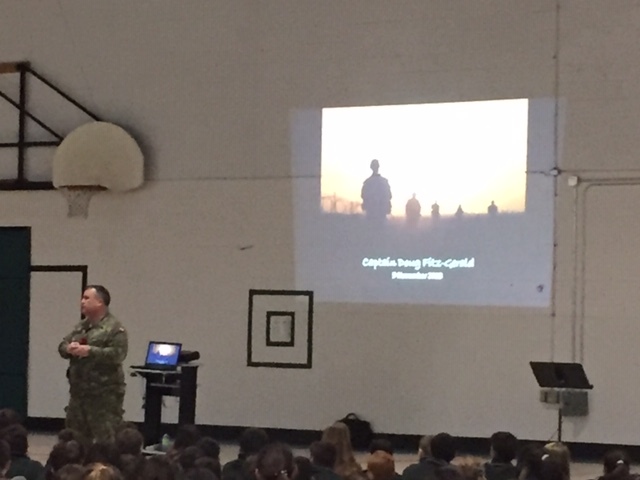 Faculty and students learned firsthand from Captain Fitz-Gerald’s stories about the importance of why we remember and honour our veterans. The luxury of our freedom is thanks to the sacrifices of those who served and serve in times of war, military conflict and peace. 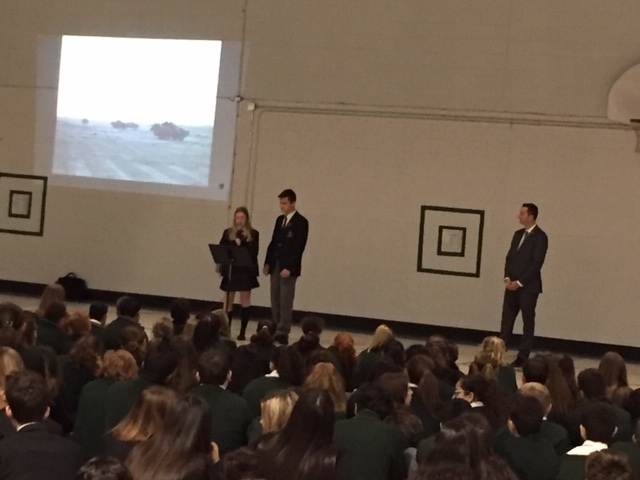 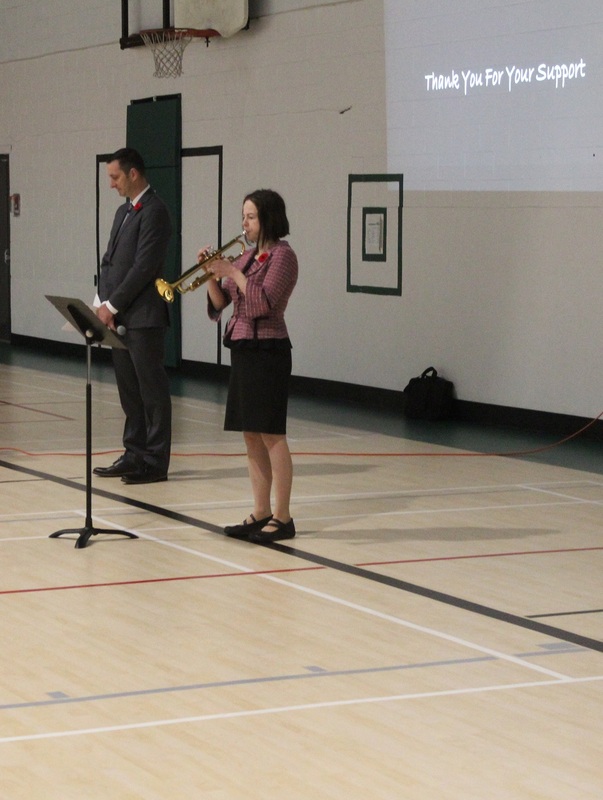 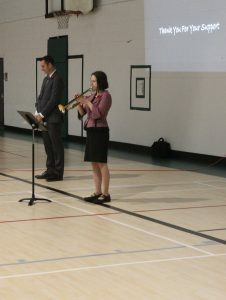 Following his inspiring presentation to the entire school body, Mme Rufiange then introduced a moment of silence with the Last Post / The Rouse bugle tribute in memory of all Heroes for this year’s Remembrance Day on November 11th.